I walk around the apartment trying on old performance gowns: the garish blue velvet, the tan like an old rug, this white gown sparkling at the throat with crystals. I spin in them. What a way, I think. What a way to live. The lines above are excerpted from Ariel Lewis’s short story, “A Rest Season,” which won our 2018 Fall Prose Contest. What a way to live—it’s a thought that has crossed my own mind from time to time as I work on this journal, attend a local reading, or simply pause to appreciate our city’s vibrant literary community. Case in point: In October, Gordon Square Review and Literary Cleveland partnered to help host Drafts, an all-day literary festival organized by Brews and Prose, the city’s celebrated reading series. Along with other local partners, we helped select readers, organize logistics, and host a reading. We were also proud to see our poetry editor, Ali McClain, and our past contributors Joe Kapitan, Phyllis Levine, and Amanda Stovicek serve as featured readers at the event. Most of all, we delighted in the chance to help bring Cleveland’s literary community together for a day of literature, books, and celebration—and, okay, maybe some beer. Writing can be a lonely pursuit, and many writers I know are introverts at heart. But it’s nice to see our literary community turn up in person for some important face time. This is part of what I love about Gordon Square Review, too. Through our launch parties and participation in other local events, we’re able to put a face to the submission process and break down some of the barriers that sometimes make literary submission and publication feel anonymous and impenetrable. We also held our first prose-only contest for Northeast Ohio writers this year, and for the first time, we were able to invite a guest judge, Lucy Biederman, to select the winning entry from a pool of outstanding finalists. (Note: A previous winner elected to withdraw her piece for personal reasons shortly before our publication date, which is why we weren’t able to publish both a winner and a runner-up as originally planned.) Biederman named “A Rest Season” by Ariel Lewis as the winner, a story she described as "masterly" with "an intense clarity of voice and tone, even as it winds through the increasingly strange territory of its plot." We are thrilled to share “A Rest Season” with our readers, and we also extend our congratulations to all our finalists. As always, Poetry Editor Ali McClain and Prose Editor Matt Weinkam achieved superhuman feats by reading an avalanche of submissions and making the smart but tough editorial decisions that help craft our issues. April Bleakney provided our beautiful cover art, Kris Williams of Tiny Desk Design continues to make our issues and website shine, Grace Roberson lent her assistance as a Literary Cleveland intern, and Jay Rosen also stepped in to help with this issue. Thank you, thank you to all. Finally, Gordon Square Review would not exist without Literary Cleveland Director Lee Chilcote, who recently announced he will step down from his role at the end of 2018 to focus on his own writing and family. We won’t forget his hard work, his vision, and how he’s helped change Cleveland’s literary landscape for the better. We hope to continue working with Lee in some capacity in the future. Now that Issue 3 is available, we have our launch party to look forward to on November 29. Thank you to the local businesses who donated to our raffle and help us celebrate the Gordon Square and surrounding Cleveland neighborhoods: Mac’s Backs, Belt Publishing, In the 216, Sweet Moses, Cleveland Cinemas, and Artful Living Boutique. Beyond our launch party, we’ll surely invite our contributors or editors to make future appearances at other events around town. So if you happen to be local, come out to one of these events and say hello. Thank Lee Chilcote for his work at Literary Cleveland, ask our editors a question about the submission or publication process, or congratulate our contributors for their fine work. After all, Gordon Square Review is more than a literary magazine—it’s a community. Laura Maylene Walter is a writer and editor in Cleveland. Her work has appeared in Poets & Writers, the Sun, Kenyon Review, Ninth Letter, Michigan Quarterly Review, and elsewhere. She has been a Yaddo Fellow, a Tin House Scholar, the recipient of the Ohioana Walter Rumsey Marvin Grant, and a past Fiction Editor of Mid-American Review. Her debut story collection, Living Arrangements (BkMk Press), won the G.S. Sharat Chandra Prize, a national gold IPPY, and a Foreword Book of the Year Award. 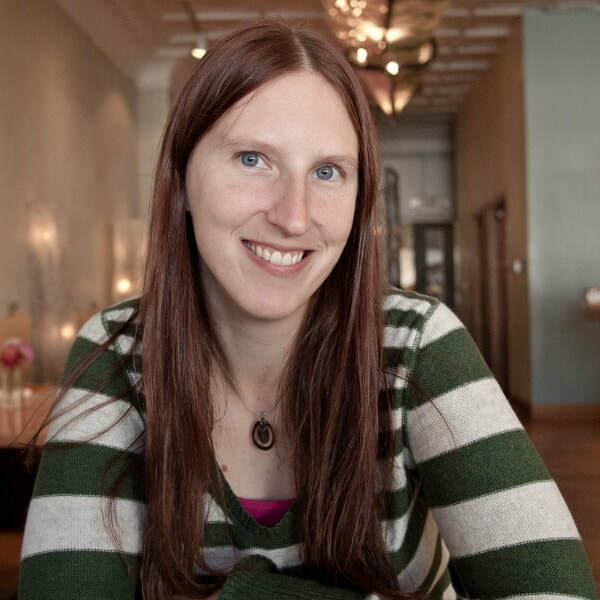 Laura holds an MFA from Bowling Green State University, is a contributing editor for Cherry Tree, teaches workshops for Literary Cleveland, blogs for the Kenyon Review, and works for Cleveland Public Library. She is no stranger to rejection.